Team managers often need to get a quick overview over their team's appointments. Zimbra's sharing method allows them to embed the calendar of every team member into their own calendar view in the Zimbra web client. 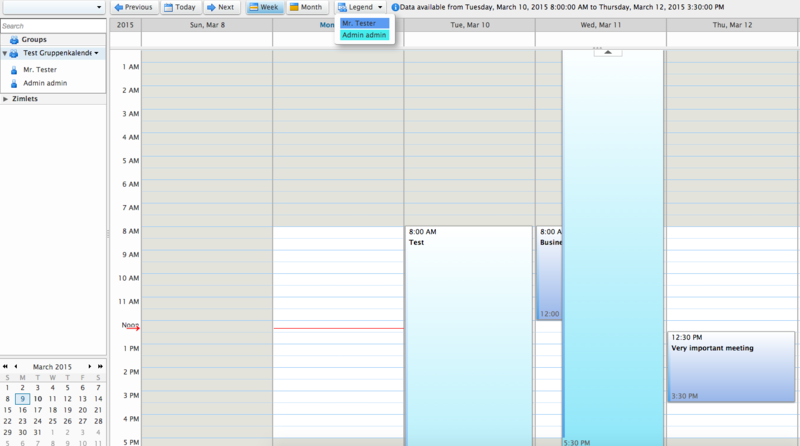 This extension allows a central managment of group calendars. The main calendars of several users can be grouped together using a distribution list. Permissions to access this group calendar are handled using a corresponding distribution list.